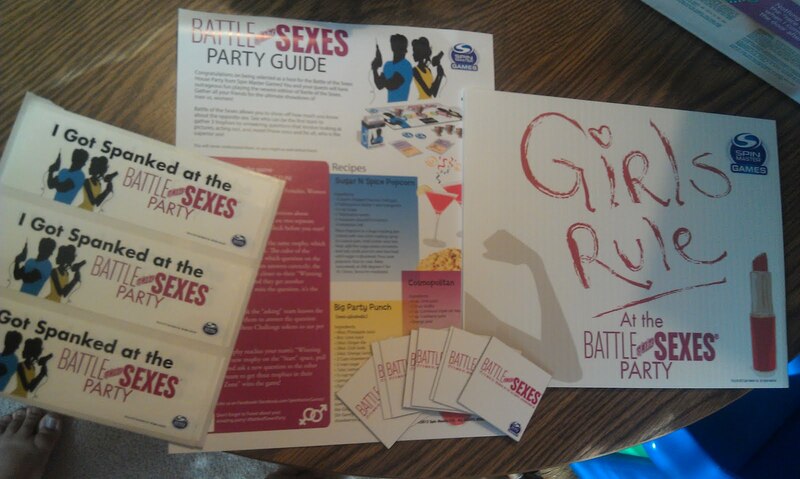 Wednesday, I received my Battle of the Sexes House Party pack. 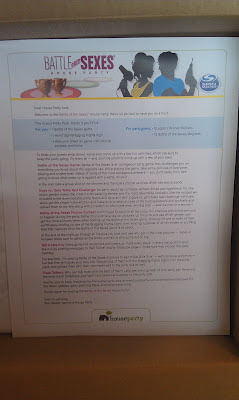 I was so super excited to get invited to host this party because I seriously thought it would be so much fun. Now, I have applied to multiple other parties but this was the first one I got accepted to. I was going to host this party at my friend's house. It is actually her birthday and I was given permission to bring the game and such a long. UNfortunately, Hubby has to work now Saturday night so no car, means no night out. Which means I have no idea what I am going to do about hosting this game. The game looks really fun and all the drinks on the drink list they provided sound super yummy. 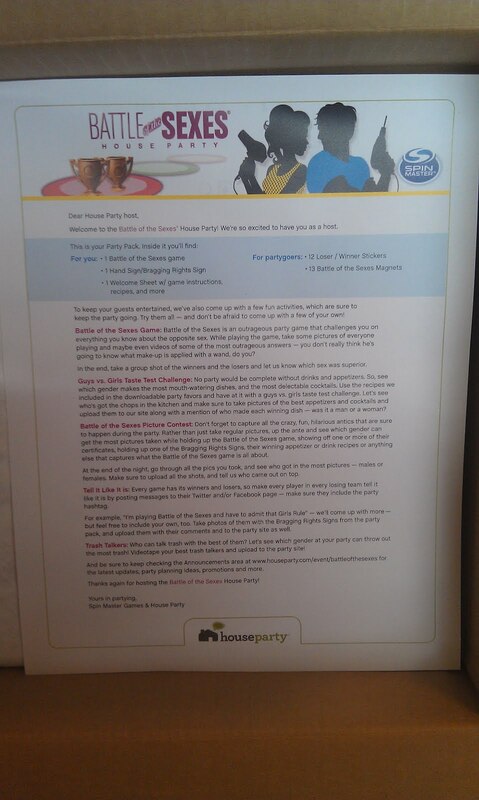 If you are interested in hosting a party of your own, go HERE and sign up. Maybe you will have better luck getting people to come. If you host stuff all the time, then you probably will. I always go to others houses but usually plan entertainment, bring food/drinks, etc. So I'm kind of disappointed. I was really hoping to get on invited to host the Sabra House Party but with no one coming to this one, the chances are low. O well. Still a neat site and it was still amazing of Spin Master Games to give me the opportunity to host. 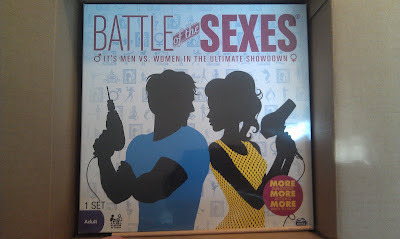 Maybe Hubby and I will play all by our lonesome after he gets home from work. So have you ever throw a party and been disappointment with the outcome of the number of guests?